We love our customers. So when one of them accomplishes something truly impressive, we can’t help but crow about it a bit. 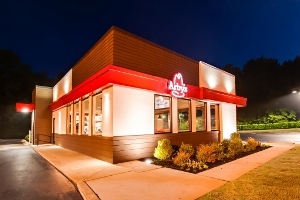 When Arby’s announced recently that they’d reduced their energy intensity by 7.6% across the company in the past year, on their way to a planned 15% reduction, we were thrilled to have been a part of their very successful strategy. So how did they do it? We thought you might ask that. So we put together a case study telling the story of how Arby’s decided to install SiteSage at all 900 of their U.S. company-owned restaurants, and how it’s enabled them to reduce energy use and protect food safety. And, we have a very exciting opportunity for you to be able to hear about how this amazing reduction was achieved directly from Arby’s own Frank Inoa, Arby’s Senior Director of Operations Engineering. On September 30, 2014, we hosted a webinar entitled “Efficiency Matters: Putting Energy Management Into Practice at Arby’s”. Just click the link below to watch the recorded webinar on demand.